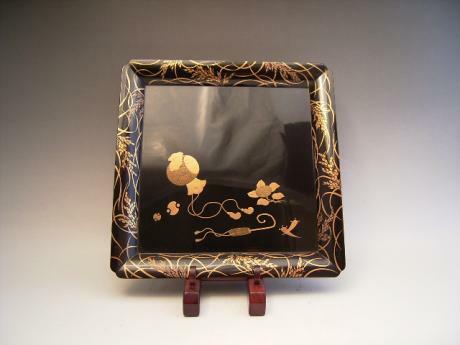 Description: Japanese late 19th century black and gold lacquered tray. 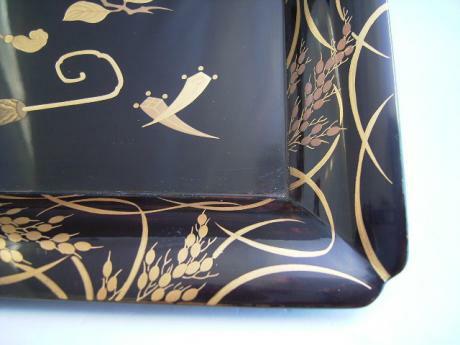 The tray has the design of good luck symbols. 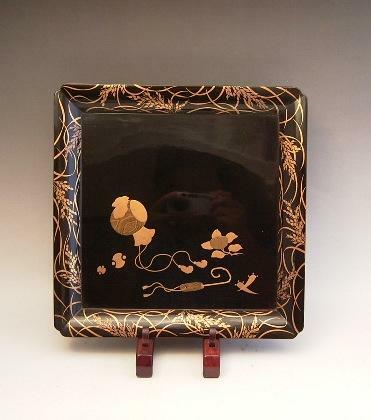 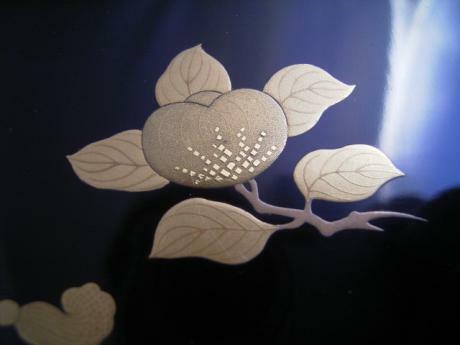 The tray is from an original set of 10 trays which came in a wooden box signed by the artist, MUNEMITSU. 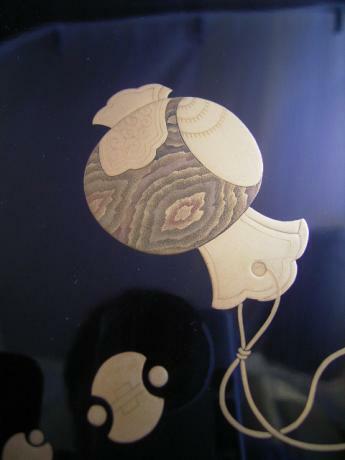 The wooden box is being sold with the set of 5 trays. 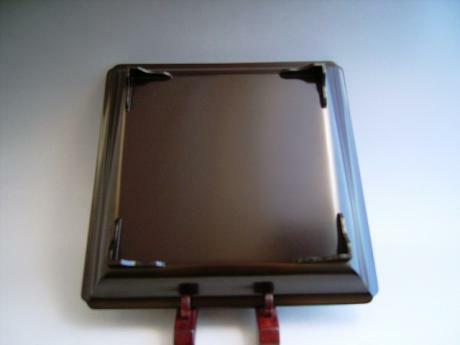 The tray measures 10" by 10" and is 1 3/8" tall.